The more time moves forward, the more your house wants to fall apart. That’s nobody’s fault — it’s a basic law of physics. But what’s that you say? Repairs are expensive? Well, guess what? You’ll have to fix it eventually, and the more time goes by, the more expensive that repair is going to become. Money is cheaper today than it will be tomorrow, and smaller fixes are cheaper than bigger fixes, so when you spot something that needs repairs, you need to fix it right away. And one of the biggest fixes there is in a house is its foundation. Your whole house rests on top of it, so if you’ve got a foundation issue, then you’ve got an issue with everything. If your foundation settles or sinks, then you’ll get cracks in the walls, uneven floors, windows and doors won’t shut all the way…you may even suffer costlier structural damage. But how can you know when your foundation needs repairs? How do you get to it before it’s too late? How Does a Property’s Foundation Become Damaged? Foundations are big and heavy, and there are only two things that actually happen to it: movement and reshaping. These are what cause unsteadiness that leads to all other foundation issues. And these issues can cause serious structural damage to your home, so it’s important to get them fixed immediately! If you’ve got a misshapen or shaky foundation, there could be one or a few different things causing it. Additionally, you may experience damage to your foundation if it’s been built on expansive clay or poorly compacted fill soils. Another factor that can seriously damage your foundation is poor maintenance in the surrounding area, such as overgrown foliage. For Southern California, a large factor that contributes to damaged foundations are earthquakes. Although we don’t usually experience large seismic events, we do get little ones all the time. Most of the time, we don’t even notice, but they can take a toll on foundations, especially old ones that are already decaying. Your foundation will not stay perfect forever. The Earth does shift and move. Having a professional foundation repair contractor come out and take a look at your foundation will help you find new ways to preserve it and prevent further damage to your home. When it comes to your foundation, there are two main factors that you need to watch out for: moisture and time. What’s the deal with these two? Well, for starters, each one separately will cause its own kind of damage, not only to your foundation but to everything in your home. You know you don’t want moisture getting into the wood that makes the walls of your home. You know that things decay over time. But moisture is devastating even in tiny amounts if given enough time. Moisture slowly causes foundations to expand, rot, collapse, or any number of problems. And because it happens slowly, it’s hard to notice. Many people don’t realize there’s a problem with their foundation until it’s too late. Tiny problems eventually become large ones. Don’t let that happen to you. 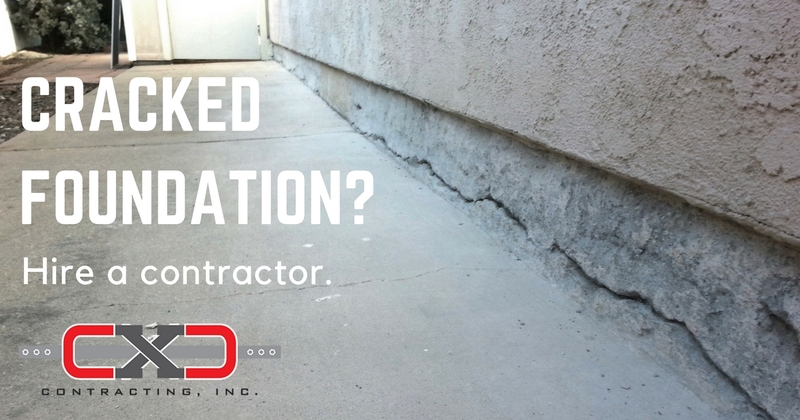 Call our foundation repair company in Los Angeles and at the very least, get your foundation inspected. The longer you wait, the more serious – and costly – your problem will become. If your foundation is cracked or sagged, you will need to fix it, and any damage it has caused. You can get cracks in your wall, sloped floors, non-fitting doors, and all sorts of other problems. …And more. All of this additional damage takes serious time and money to deal with. The old saying is true: time is money. This is even truer when it comes to your foundation. 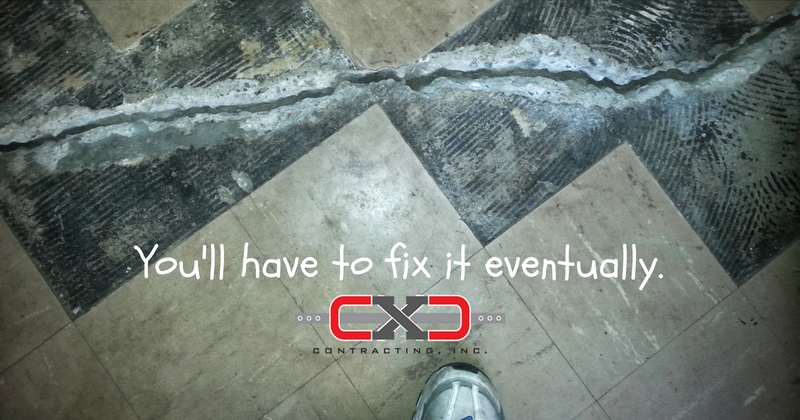 The longer you wait to fix it, the more damage can occur in other parts of your home, the more money it’ll cost you. Seriously…Get your foundation inspected and repaired as soon as you can. Click here to schedule an inspection. So, how can you know when your foundation needs repairs? Unless you’re a trained professional, chances are you won’t really know the answer. But check it out — there are some warning signs that your foundation needs repairs that you can inspect yourself right now. Check the windows, are they hard to open or close? Are there cracks in your walls? How about the ceilings? Do the doors stay in place, or do they swing open or closed on their own? Are the floorboards falling off the walls? Get a tennis ball and place it on the ground; does it roll in one direction on its own? Got a smartphone? Chances are it’s got a level app; place it on the floor and see if there’s any skewing. Are shelves on the walls loose? Are cabinets falling off? Fortunately, all of these signs are easy to detect, so if you see something that makes you think that your foundation needs repairs, it’s important that you contact a professional to inspect your property. You’ll need to hire a contractor. 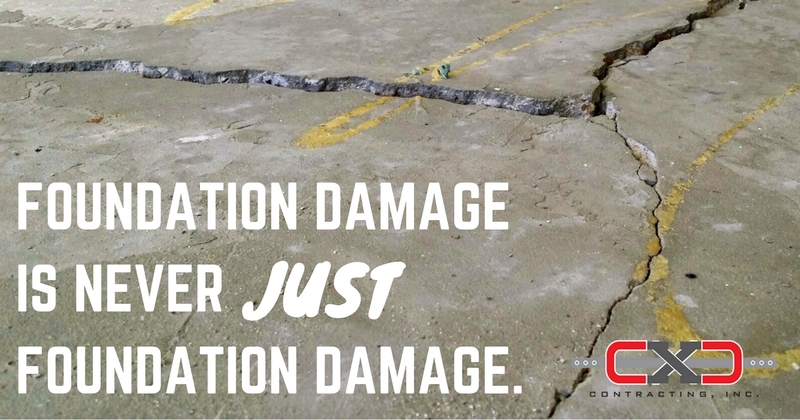 Luckily, repairing a damaged foundation is not necessarily an invasive process. It doesn’t require you to pack up your life and leave your home. However, you do need an experienced professional to make those repairs. Your insurance company definitely does not want to hear that you’ve attempted your own foundation repairs. At the first sign of a foundation issue, contact a professional as soon as you can. If you want to know what to look for when finding a foundation repair contractor, this blog will help you out (click here). You don’t want to wait until your issues get worse and create more problems. Contact us to schedule a free inspection today! You will be glad that you did!